Clean-out service is offered for clients requiring annual, one-time, or occasional shredding service. We offer a special priced clean-out program, priced to handle large volumes of paper. Containers may be provided by request. 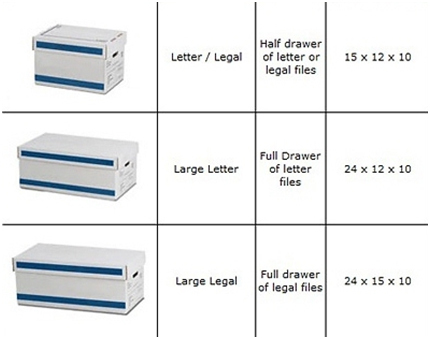 There are three standard box sizes used for storing documents. When requesting a quote for destruction of boxed documents, it is helpful to know what size and how many of each you have.